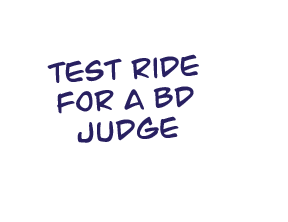 Find out how much fun everyone is having at BD East, try affiliated for the first time or have a practice run before a true competition. The Eastern region is renowned for being particularly friendly and supportive, when you get involved. The purpose of these days is to support members who are wanting to compete at a higher level - Stepping Up as well as showing unaffliated members how much support, training and fun being involved with a motivational BD region is by Stepping In! Your interest, questions and queries are welcomed by team members who are continually helping people just like you - dont hestitate to speak up and just ask! 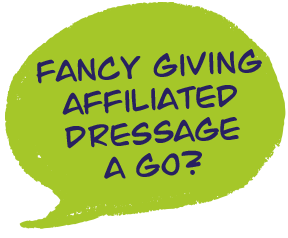 If you are new to dressage, interested in finding out more about riding affiliated, or just want to come along for some training, and test riding, with constructive feedback, then these days are for you. Running in various locations in the Eastern Region throughout the year, we offer riders the chance to come with their horses and have a good experience at one of our affiliated venues, without the pressure of competition. Our Step In / Step Up days are a fun and friendly chance for you to ask questions about the region, about competing in British Dressage competitions, and to work out where you and your horse can go. For current members, it is a helping hand on your competitive journey. For riders who are not yet members, or who are lapsed members, it is a chance to dip your toe in the water and see if you wish to become a member. If you do, there are some great offers available – half priced horse membership if you join as a full member, or free horse if you take trial membership amongst others. 6th August Keysoe Beds - this was our first and was a fabulous day! All ages and all levels are welcome - look forward to seeing you there!